There are so many things that need to be blogged about. And the simplest answer that I can provide right now for any question is: It's complicated. I have plans to blog again and catch everyone up. And I hope that I get to write those posts. But for now, there is something big and magical to share. Before this blog was published, sat a very frightened couple in a doctor's office. They had already been encouraged to end the pregnancy of their third child and they were confused, saddened and very frightened. A wonderfully kind doctor explained to them that from that point in the pregnancy, at 21 weeks, their baby had a 45% chance of surviving over the age of 5. They were told that if she did, she could live a relatively normal life. That couple were embraced and loved by so many and thousands watched as little baby Tehilla survived. You all held a collective breath with us, for the first traumatic 6 months of her life and you all chuckled with our stories of her feisty-ness as she grew. You sent pictures, prayed, baked challah, sent her little gifts and wrote encouraging messages throughout her 4 open heart surgeries. You were there during the hardest moments and rejoiced with us as we all watched miracles happen before our eyes. That little miracle is turning 5. And as magical as the unicorns that she adores, Tehilla has survived, thrived and sparkled. Her turning 5 was never a given. It was a goal that seemed unattainable for so long. It's a huge milestone in her heart journey and there is no other way that we can reach this stage, than by thanking G-d.
We are throwing her a unicorn themed 5th birthday party. And we are inviting each and every one of you. It will be a mesibat hodaya to praise and thank G-d. It wouldn't be right to celebrate, without extending the invitation to our blog family. The party is on Friday, September 28, 1-3:30 pm at our home. On occasion, we would be on a casual outing and someone would recognize Tehilla's miraculous face. Someone familiar or a new face who unknowingly was deeply connected to us as a member of our blog family. After casual conversation, often we would get asked, "So...what is going on with you- I mean- other than what you post on the blog?" I thought it was a funny question. I'm pretty sure that I opened up my life to the world, sharing our deepest painful moments and our greatest magical times. And ear infections and teething issues. What more was there to tell? Of course, there always is more. The pauses in between those posts. The mundane life routines. And the side stories that weren't always written about. People react differently to life's ups and downs, so it isn't always easy to read a situation. This blog has been crucial for helping heart families, especially newly diagnosed families. It brought together people from every corner of the world to pray for our heart warrior princess. And now...it's making waves against the stigma of mental health. I've heard from so many people how they are gaining a deeper understanding, seeking help for family members, or feeling supported reading about a family experiencing something similar. No worries. This blog isn't going anywhere. I have more to write. The easiest way to explain my lack of blogging for the past two months is to explain how to read between the posts. My personality is that when we are going through something tough- no, not tough- something painfully challenging, I post less and less on Facebook, Instagram or this blog. The times when catching my breath is hard, when I'm doing all that I can to keep my head above water, I can't possibly post. I'm breathing a bit better now. I'm able to plant my feet firmly on the ground, find my voice and find the positivity all around me. I've got more parts to write about, and as my footing continues to grow stronger, I'll be picking up where I left off. This story has taken some very sharp turns, which I will blog about when I am ready. For now, all of your love and support always means so much to us. Progressing with anxiety is like a dance step called the "cha-cha". Before even moving towards the dance floor, you need a basic level of security, self-esteem and motivation. Once you are ready, you take a step forward with your right foot, take a step back with your left foot, and then once again step forward with your right foot. From this basic description of the "cha-cha", it would sound like you haven't moved anywhere. But if you look closely at the dancer's feet, you realize there was a little inching forward. And when you stand back to watch the dance, you quickly realize that the dancer is moving across the dance floor. But without that step back, the dancer cannot push themselves forward. Tzviel and his mother went to visit his class at school. It had been 6 weeks, since he had worked up enough stamina to walk through the school gate, up the stairs and into his classroom. 6 weeks since he had seen his friends. Because 8 year olds (and often many grown-ups) have a limited understanding of mental health issues, the class had been told that Tzviel had a kind of virus that took a long time for his body to recover from. That his body was still building up strength and Tzviel would be coming back to school at a slow pace. Tzviel smiled big when he walked into class. His 32 classmates ran up to him and hugged him and embraced him and called out, "Tzviel! We missed you!" "I'm so glad you're better!". The teacher instructed them to sing a song for him, and Tzviel felt amazing. Tzviel went to say hello and shake hands with the principal and after 15 minutes, they returned to the car and drove home. That night, Tzviel's family celebrated his step forward, his "success", with donuts and a lot praise from his family. They all understood what it meant for Tzviel to take this step forward. That night, Tzviel suffered the worst stomach problems. His anxiety kept him awake until 3:00am. His parents recognized and anticipated the step back in Tzviel's anxiety "cha-cha". They reassured him and let him know that they were all there to support him. That he was safe. They let him know that when he was ready, they would be waiting to help him take that third step of the "cha-cha"- the step forward. Sure enough, two days later, Tzviel asked if he could go back to school and spend a recess with his friends. That night, Tzviel suffered stomach problems and insomnia, but in a slightly lesser degree. His family applauded his success and let him know that it was up to him when he'd like to go back. They suggested maybe a lesson with his homeroom teacher who he loved. He was happy with that suggestion and asked to do it the next day. He then became hesitant. "Ima, what if my anxiety is too much? What if it's too hard? I want to. I really do. But I'm a bit scared." His mother answered, "Tzviel, I will sit outside the classroom the entire time. If you feel your anxiety building up, you can come out to me and we will work on it together or if it's too much, we can go home. I'll explain to your teacher." Tzviel relaxed and was happy knowing that he would be safe with his "cha-cha" step forward. Tzviel was at home with a homeschooling schedule for all his classes and a government appointed teacher that came twice a week to help him. He could now breath easier and everyone could work on helping his anxiety. 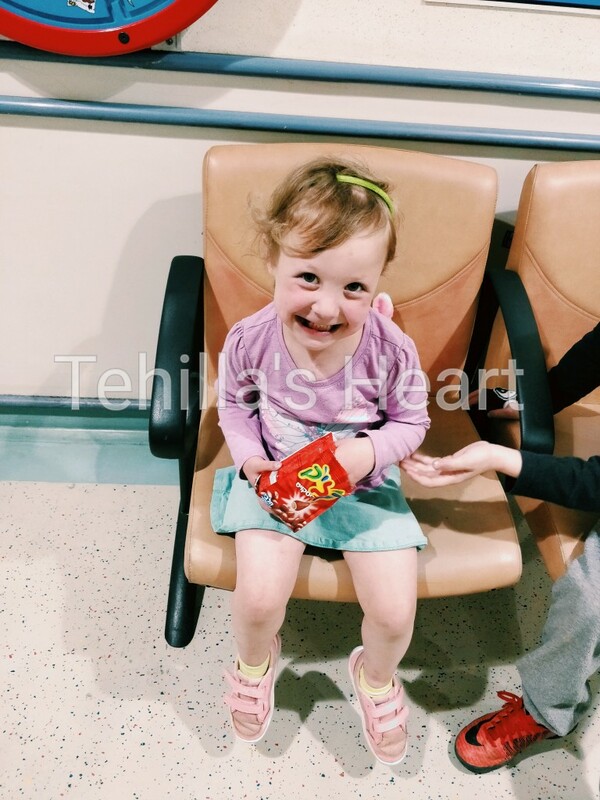 After taking a break from the first medication, Tzviel's parents held their breath with the second medication. They watched nervously waiting for the worst to happen. But it didn't. Tzviel's new medication gradually started to show clear signs of helping. A lot of exercise was added into his schedule to help him break down his anxiety. Tzviel's parents were completely astonished by how much his anxiety was reducing and how much he was able to handle things. He was sleeping better and functioning beautifully. He was able to work through his anxiety using the CBT methods he had learned and started to open up in some of the most unexpected ways. Tzviel's parents called a meeting at the school with the principal, his homeroom teacher and the guidance counselor. They came armed to that meeting with letters from all of Tzviel's past and present doctors and therapists. They also brought along their CBT therapist. Tzviel's parents once again detailed his medical history, this time with signed and stamped letters proving a medical team was in place, detailing everything they had already explained. Tzviel's therapist explained in detail how anxiety in children appears and the behaviors they were seeing. The guidance counselor insisted repeatedly that Tzviel not be on medication, insinuated that there was some other underlying cause for his behavior and demanded acknowledgment for her own masters degree. Tzviel's therapist repeatedly explained the necessity of his medications and of the extensive work she had done with the whole family. Finally, the principal interrupted and said, "It is not our job to diagnose him. These letters show that there are doctors in place to do that. We will take our cues from Tzviel's parents of how to progress and we wish him only well and a full recovery soon." After six weeks of homecare and homeschooling, Tzviel went for a follow-up appointment with his psychiatrist. The doctor asked him, "Tzviel, your mother and I have been speaking frequently and she has been telling me of all the progress you're making at home and so many great things. I want to hear from you. How do you feel?" Tzviel said, "Can I ask you something? Can I go back to school?" His psychiatrist smiled big and said, "I'm very pleased that you are asking that. Yes, let's start small and start getting back to school." Tzviel's family never met or interacted with the school guidance counselor, despite several months of working closely with the staff at the school to help his anxiety. It was only once the topic of medication came up, that a meeting was called. Tzviel's mother tried explaining the 3 years of history of Tzviel's anxiety, about his sister's special heart and the current situation. The guidance counselor's suggestions were that his family was "doing too much", didn't really know what was wrong with Tzviel and that they needed parenting classes. When Tzviel's mother met with the principal, she was interrogated about how she was obtaining medications and who was overseeing to Tzviel's care. Nothing productive came out of that meeting, except for Tzviel's mother demanding that the guidance counselor not be involved whatsoever. Tzviel had started his new medication. For eight blissful days, Tzviel breathed deeply like he hadn't been able to for three years. He smiled, he interacted, he functioned. His parents got to see the version of Tzviel that they had been missing for so long. If only things could have stayed that way. Adverse effects came on and made Tzviel's anxiety come back with a fury. Raising doses only made things worse and sent Tzviel into a tailspin. When a classmate called Tzviel crazy and weird and pushed him, Tzviel went into a serious anxiety attack. Tzviel's homeroom teacher came to calm him, but the guidance counselor kept interrupting. The guidance counselor called and Tzviel's mother raced to school. His mother pulled up to the school to see Tzviel running in the rain being chased by his teacher, the guidance counselor, the cleaner and the guard. She watched as Tzviel scaled the fence, desperate to get away. Upon seeing his mother, Tzviel breathed and agreed to come to the car to calm down. The guidance counselor was adamant that this was not an anxiety attack and couldn't understand why Tzviel had disassociated and didn't respond to her. Two days later an email was sent from the school, demanding an official letter that Tzviel was not a danger to himself or to others. Because an 8 year old boy climbed a fence. Tzviel's family realized that until Tzviel was stable, the school was ill-equipped to help him and would only exacerbate the situation. All of Tzviel's doctors were consulted and the decision was made to homeschool-homecare for Tzviel until he was stable. Tzviel's parents sat him down and explained that his anxiety was just like a very bad virus. Without giving his body and mind some time to rest, his body would work too hard and couldn't get better. His anxiety had to be taken care of and when he was well, they would slowly start school again. Tzviel breathed deeply and whispered, "Thank you." Tzviel went to bed that first night, calmly and without any stress. He fell to sleep instantly and slept for 14 hours. The stress and exhaustion of the situation had caught up with him. Now he could begin healing. Tzviel's mother had spoken in great length to their family doctor and to his therapist. It seemed that despite all the help that Tzviel was getting, the chemical component to his anxiety was still rising. Tzviel's mother sat him down and said, "Tzviel, your anxiety has been pretty hard for you lately. You've been working so hard for so long to try to control it. There are different kinds of sicknesses. Some of them make us uncomfortable, but they can go away on their own. Like a cold. You sneeze for a bunch of days, feel pretty bad, but afterwards, it goes away. Sometimes that cold doesn't go away and causes a cough. We bring you the humidifier, rub some Vicks on your chest and work a bit harder to get you better. And some times that cough gets into your chest and causes an infection like bronchitis. In that case, we need medication to clear out the infection. You would still need the humidifier and the Vicks to help you get better, but without the medication, your body can't feel well." "We can go to a special doctor and talk about your anxiety. He can give you a medication that will take your anxiety down, so that you can work on it again and control it better. All of our doctors think it's a good idea and will help you start to enjoy school again and stop your stomach problems. What do you think?" Tzviel looked into his mother's eyes and simply nodded his head and said, "That sounds like a good idea." When Tzviel met his psychiatrist, he liked him right away. He spoke softly and asked him all about himself, his family and friends. They spoke about sports and movies and Tzviel felt himself relaxing. When his psychiatrist finally said, "So, Tzviel, can you tell me why you are here?" Tzviel answered, "I really need help with my anxiety." His psychiatrist said, "Wow, that's a great thing to hear you say. Who should talk to me about your anxiety? You or your mother?" "My mother," Tzviel answered. While Tzviel's mother started talking about his little sister's heart and about all the hospital stays, Tzviel felt himself feel bad. He started moving his body around, and felt himself sink to the floor and hide under the desk. He ran to the other side of the room, and crouched into a small space between a chair and the wall. Tzviel's psychiatrist said, "Got it."